The TABER® Linear Abraser (Abrader) - Model 5750 has been engineered to test either contoured or flat surfaces, making it ideal to evaluate finished products of all sizes. To expand the versatility of this instrument, the Linear Abraser can be configured with optional test attachments to perform different types of abrasion tests. And can be used for both wet and dry testing. Click here for information on additional attachments that can be used with the Linear Abraser to evaluate the relative resistance or susceptibility of a material surface to scratch, mar, gouge, and scrape. The Taber Linear Abraser incorporates a horizontal arm that reciprocates in a linear motion. Attached to the end of the arm is a precision bearing spline shaft that creates a 'free-floating' test system and permits vertical movement. The test attachments are affixed to the bottom of the spline shaft and a weight support is mounted to the top. As the horizontal arm strokes back and forth, the test system raises or lowers vertically as the test attachment follows the contours of the specimen. A laser alignment guide assists with specimen set-up to ensures the abradant travels over the desired area. Adjustable settings enable the user to select the speed, stroke length and test load. The Linear Abraser includes six preset speed buttons, along with the ability to adjust the speed from 2 to 75 strokes per minute. Eleven stroke lengths are standard ranging from 0.2 inch to 4.0 inch. The base load of the "free-floating" test system is 350 grams and consists of the test attachment; spline shaft; and weight support. Three 250g weight discs are supplied with the instrument and optional weight discs ranging from 10 to 250 grams can be added to the weight support to increase the test load to approximately 2100 grams. Optional accessories can be also be used to decrease the load. For example, an 150mm aluminum spline shaft and plastic Wearaser Collet Kit can bring the minimum load on the sample to as low as 60 grams. Taber's Linear Abraser is programmable to 999,999 cycles, but caution must be used as the abradant may wear prior to the end of the test. The Wearaser® collet assembly is supplied with each Taber Linear Abraser, along with CS-10 and H-18 Wearaser abradants. The size and shape of a pencil eraser, the Wearaser is made using the same high quality Taber abrasive media found in our Genuine Taber abrading wheels. This permits the use of equivalent abrasive materials with the Linear Abraser as well as Taber's Reciprocating Abraser and the Taber Rotary Platform Abraser. 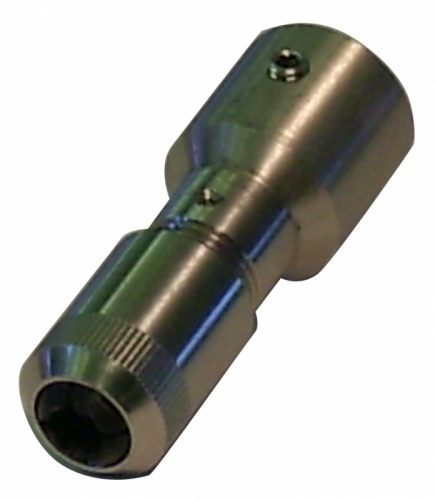 The Multi-Head Attachment (sold separately), incorporates an additional spline shaft, permitting two tests to be performed simultaneously with the Linear Abraser. With the diversity of products that can be tested with the Taber Linear Abraser, it is up to the end-user to determine a suitable clamp or fixturing device appropriate to their product. Click here for additional information on specimen mounting available from Taber Industries. 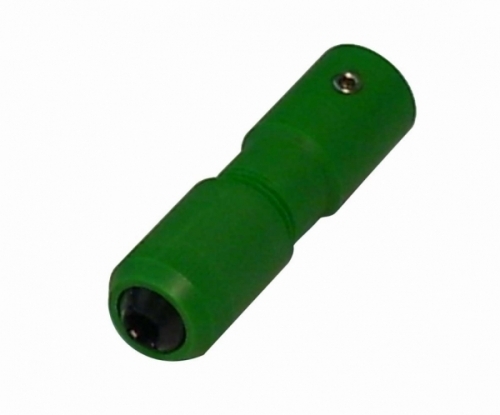 For information on Wear / Abrasion Attachments for the Linear Abraser, click here. 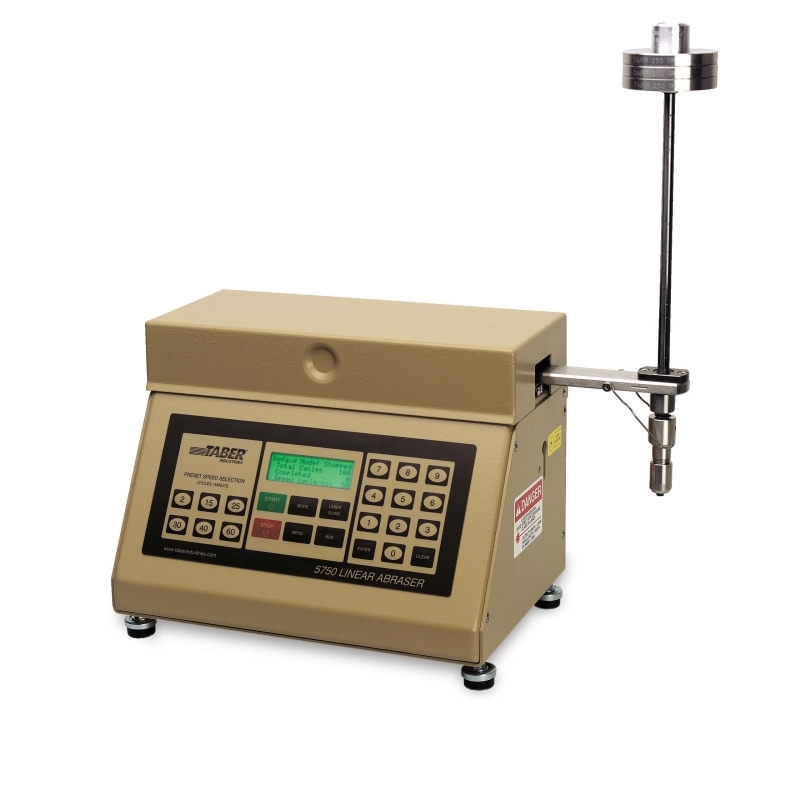 Note: There is no standard formula to correlate test results between the Linear Abraser and Taber Rotary Abraser. Due to differences in how the wear paths are generated, testing parameters and the unique wear properties of each material prevents a universal formula from being devised. If you are attempting to correlate the results, Taber recommends correlating through experimentation to determine the appropriate settings. 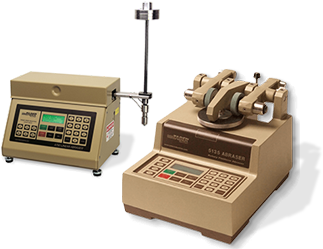 The following links provide a listing of test methods the Taber Linear Abraser (Abrader) satisfies. Please note, additional accessories may be required.